Donald Gladstone Rodney (18 May 1961 – 4 March 1998) was a British artist. 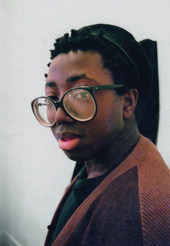 He was a leading figure in Britain's BLK Art Group of the 1980s and became recognised as "one of the most innovative and versatile artists of his generation." 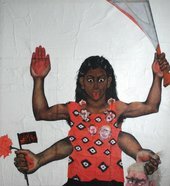 Rodney's work appropriated images from the mass media, art and popular culture to explore issues of racial identity and racism. How do you deal with an artwork that has a missing piece?